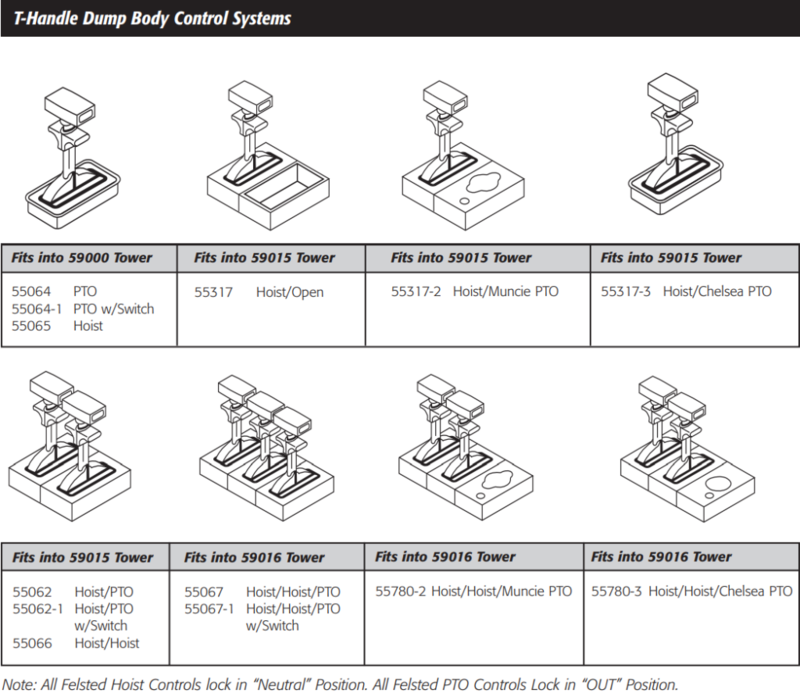 The Felsted T-Handle Dump Body Control is used to control the PTO and/or pump for dump body hoists. This control is standard as a dual unit (PTO and Hoist) or available as a single unit (PTO or Hoist), or a triple control unit (two Hoists and a PTO). Quad units are also available. Also available with the PTO control as a factory installed option, is a switch for a dash light, or secondary electrical function when PTO is engaged (“IN” position). These controls feature a positive detent locking system which practically eliminates any possibility of the control being unintentionally bumped or knocked out of detent. 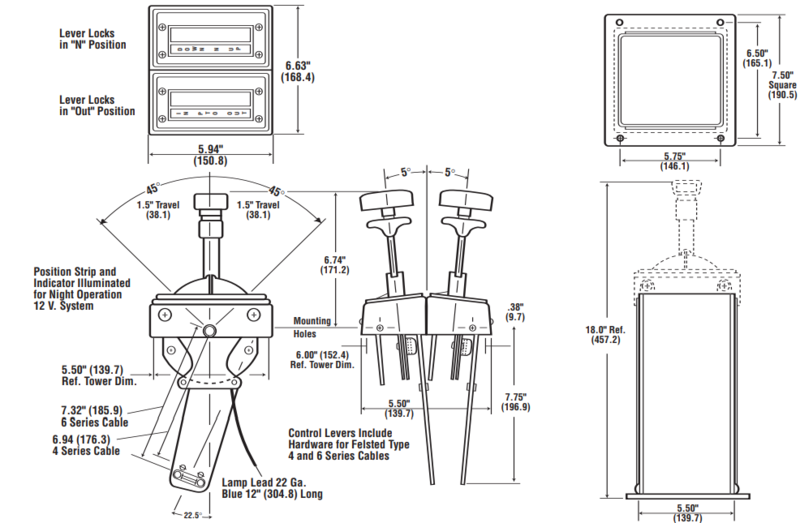 The Hoist Control locks in “N” (neutral) position, and the PTO locks in “out” position. To release from detent, just pull up on “T” lift below the knob and move lever to desired position. The illuminated position strip and lever indicator provide position range identification at night. Felsted Dump Body Controls are constructed of high quality materials and workmanship incorporating hardened steel parts and a rugged housing. The stand has a tough coating for durability and long life. The control is sealed to keep engine noise, dirt and fumes from entering the cap. All controls have a maximum 3” standard cable travel and, for ease of installation, come complete with mounting hardware for both 4 & 6 series cables.